Corsair Hydro Series H115i Extreme Performance Liquid CPU Cooler, 280mm (Certified Refurbished) - NWCA Inc. This extreme performance liquid CPU cooling solution, model # CW-9060027-WW/RF, is designed for cases with 280mm radiator mounts. 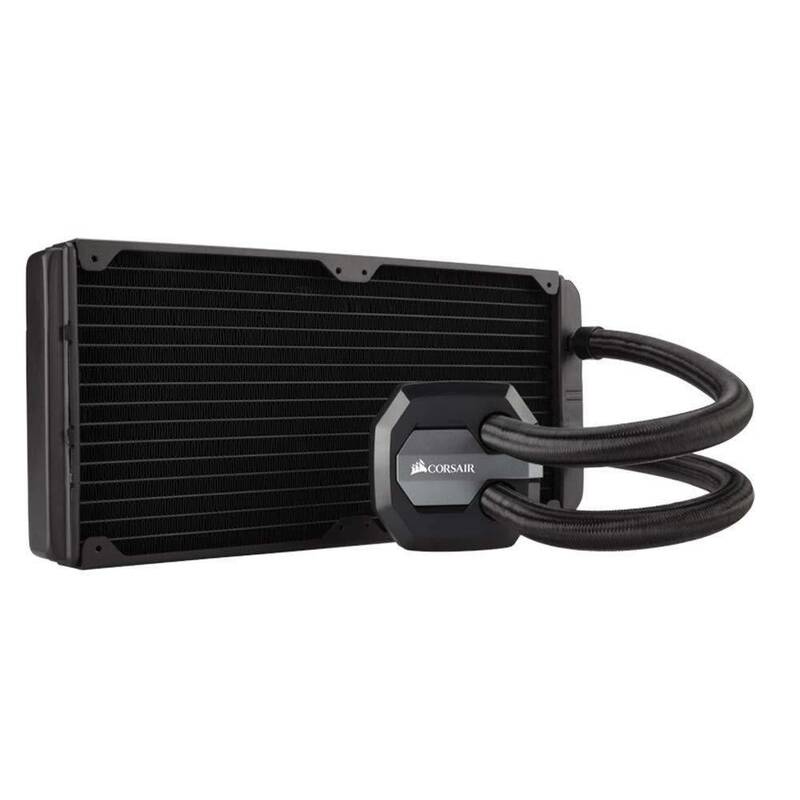 It's armed with dual SP140L fans and a 280mm radiator, delivering heat dissipation that is far superior to stock CPU cooling fans with lower noise level. 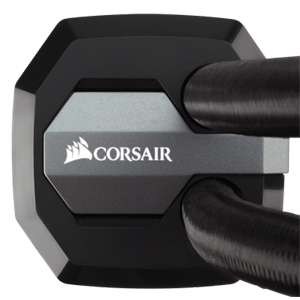 Corsair Link is built in, so you can monitor temperatures, adjust cooling performance and customize LED lighting directly from your desktop. 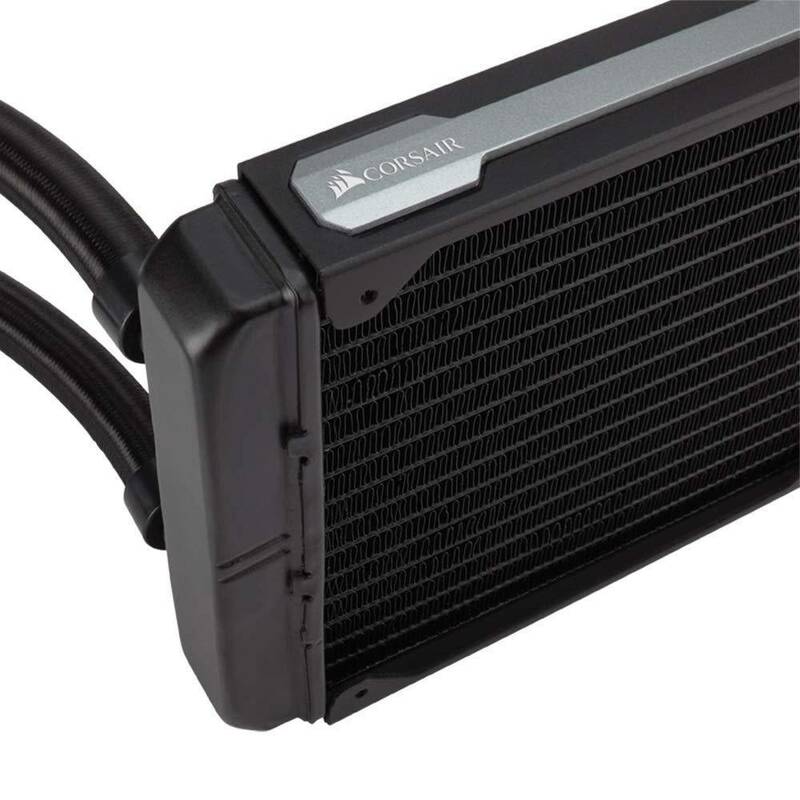 Plus, with self-contained, closed-loop design, the H115i is easy for users to install and maintain, no refilling required. 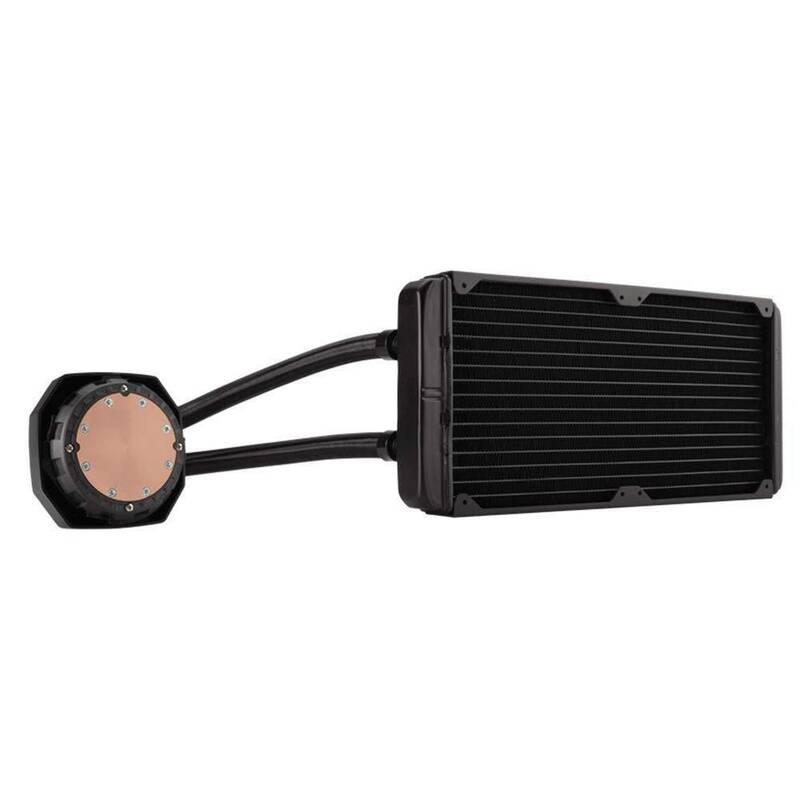 Everything’s been tweaked to make the H115i one of Corsair's best liquid coolers. 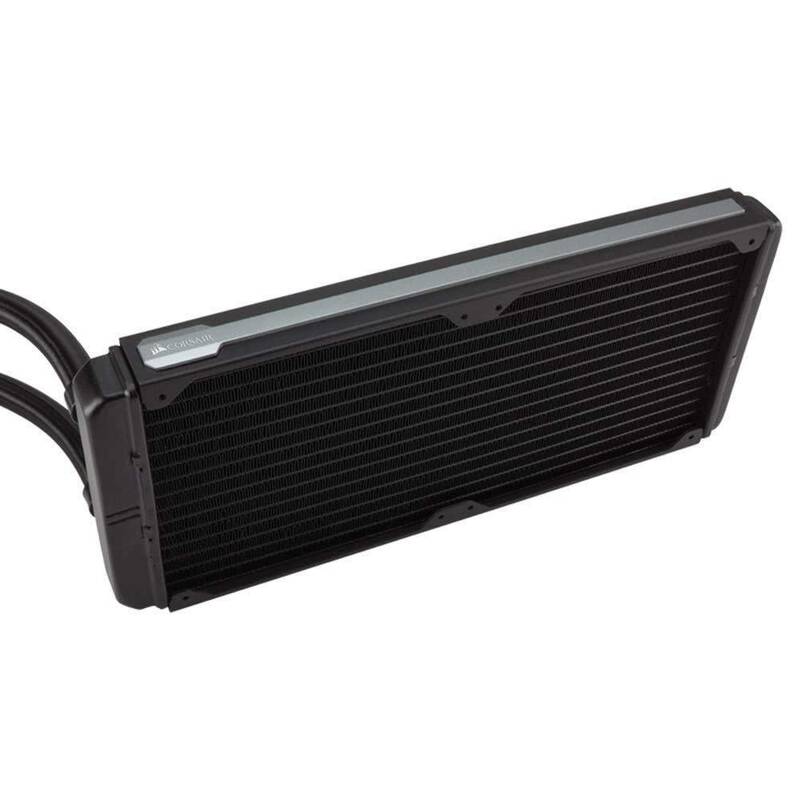 The new design delivers more efficiency with lower temperatures and less noise. 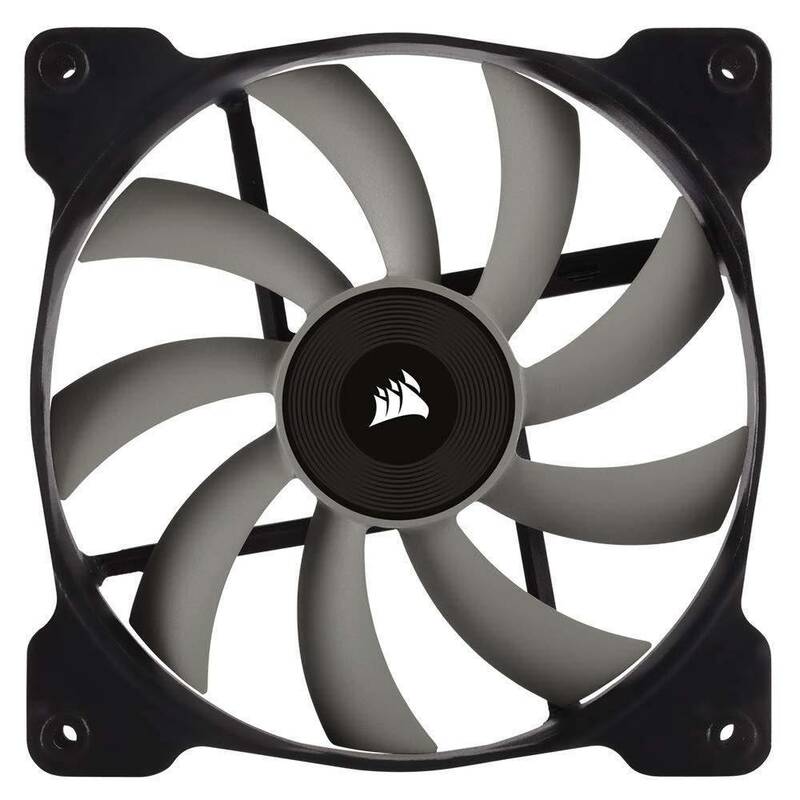 The included 140mm fans are custom-designed for high static pressure air delivery with minimum turbulence and noise. 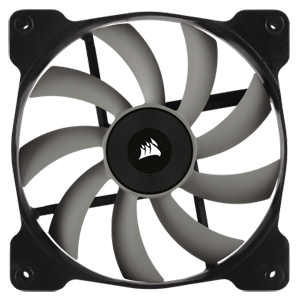 They’re PWM controlled, so you can customize the fan speed to find the optimal balance between cooling and noise. 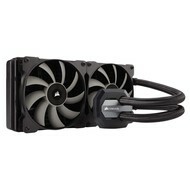 Gone are the days when water cooling required lots of work. 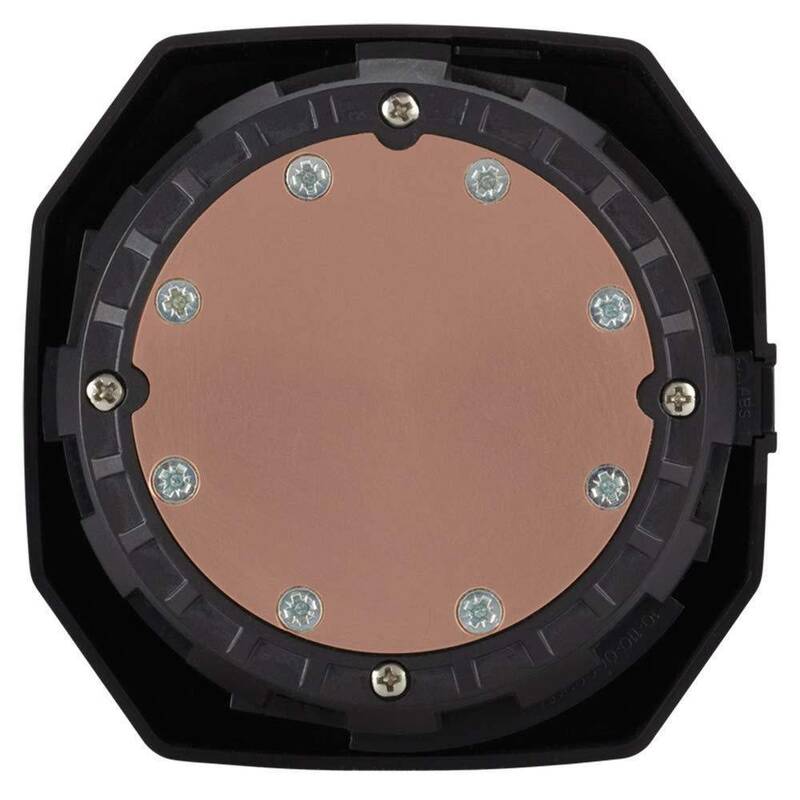 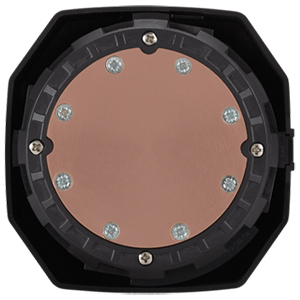 The H115i features a closed loop, factory sealed design that comes pre-filled, and it comes with a modular, tool-free mounting bracket for faster installation.